Mini Cube Pop Mold - 30 FormsA silicone mold system for creating mini snacks on a stick. 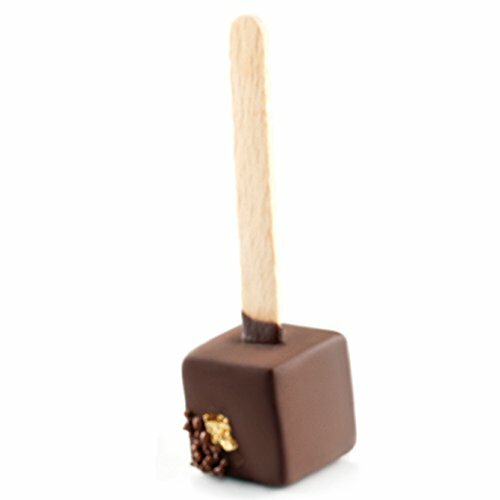 The contents can be savory bites or frozen treats and presented on a miniature wooden ice cream stick. The sticks are held centered and in place while your creation is setting up. Then simply remove your pop from the mold. A clever way to present finger foods and snacks to your guest.The molds resist temperatures from -76 degrees F to +446 (-60 to 230 degrees C) making them oven and blast chiller friendly. The package is contains molds one polycarbonate trays for support.